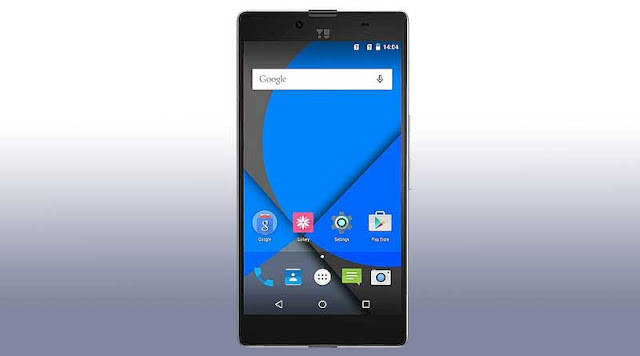 A new smartphone from YU Televenture with the model number YU 6000 is spotted online today. The device comes with a 6-inch display and the listed priced on Zauba is around Rs. 9,360 while the retail price is expected to be around Rs. 12,000. In December last year, the company has officially launched the flagship YU Yutopia powered by Snapdragon 810 octa-core processor and is priced at Rs. 24,999. As per the listings, the YU6000 features a 6-inch full HD (1080p) display, MediaTek MT6753 octa-core processor, Mali-T720 GPU and 3GB of RAM. It also features 16GB internal storage, which can be expanded using a microSD card. The upcoming smartphone is also said to feature a 13-megapixel rear camera, 8-megapixel selfie camera, FM Radio, and connectivity options like dual-SIM card slots, 4G LTE support, Wi-Fi, Bluetooth and GPS. In comparison, the Yureka Plus featured a 5.5-inch 1080p display, Snapdragon 615 64-bit octa-core processor, 2GB of RAM, and 16GB internal storage, which could be expanded using a microSD card. It also included a 13-megapixel autofocus camera, 5-megapixel selfie camera, and 2,500mAh battery. Connectivity options included dual-SIM card slots, 4G LTE support, Wi-Fi, and Bluetooth. Xiaomi had launched the Redmi Note 3 in two variants with 2GB RAM & 16GB storage and 3GB RAM & 32GB storage. While the 2GB variant is priced at Rs. 9,999, the 32GB variant costs Rs. 11,999. It comes with an all metal body and is powered by all new Snapdragon 650 quad-core processor. The device also packs a 16MP rear camera and a fingerprint sensor on the back. On the other hand, Lenovo Vibe K5 Plus is priced at Rs. 8,499 and comes with Snapdragon 616 octa-core processor. It has 2GB of RAM and 16GB of internal storage but misses the fingerprint sensor. While the Redmi Note 3 is available only through flash sales, the Vibe K5 Plus can be purchased via open sales from Flipkart.